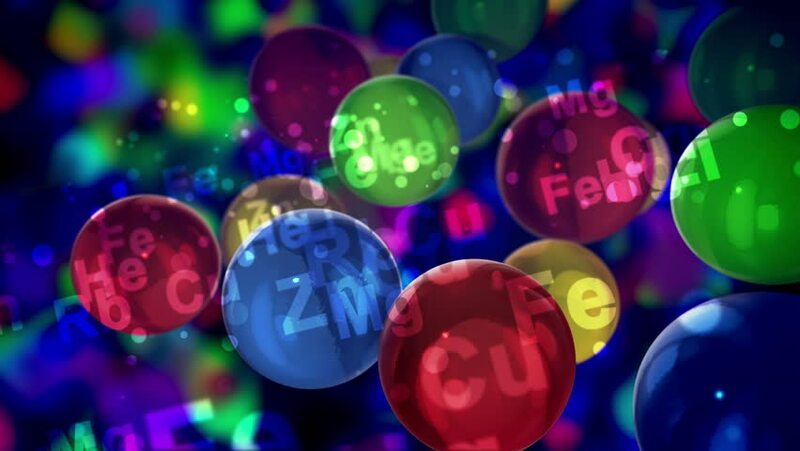 A cheerful 3d rendering of see-through colorful balls with the signs of chemical elements sparkling brightly nearby and flying up and down, right and left in the black background in seamless loop. 4k00:10An exciting 3d rendering of transparent colorful balls with the symbols of chemical elements located nearby soaring up and down, in the dark blue background in seamless loop. hd00:40Animation of falling and filling screen blue balls with user symbol. Animation of seamless loop.